The Macomb County Local Emergency Planning Committee "LEPC"
Title III of the Superfund Amendment and Reauthorization Act (SARA) mandates that communities maintain programs to ensure a coordinated planning and response effort between industry and the emergency response and planning entities within Macomb County and local jurisdictions. The Community Right-to-Know provisions of this Act helps to increase the public’s knowledge and access to information on chemicals at individual facilities, their uses, and releases into the environment. Macomb County and the local communities, working with these identified facilities, can use the information to improve chemical safety, protect public health and the environment, along with developing response protocols in the event of a hazardous material release into the air, land and/or water. SARA Title III is a federal act that is implemented in Michigan under an Executive Order from the Governor. In accordance with the act, the Governor has established the Michigan Citizen-Community Emergency Response Coordinating Council (MC-CERCC). By law, the MC-CERCC must then designate emergency planning districts for the state. Local Emergency Planning Committees (LEPC's) have been established within each county and several local municipalities. The Macomb County Local Emergency Planning Committee was established to: Develop local emergency response plans to serve as a supplement to the County's Emergency Operations Plan; provide, under the Community-Right-To-Know requirements, the forum for the public to access local hazardous chemical information; manage the collection, storage and dissemination of data required to implement these tasks. There are currently more than 360 hazardous substance facilities that have been identified in Macomb County that have one or more of the 1,450+ regulated hazardous substances at their facility. Of these, 132 facilities have been categorized as Extremely Hazardous Substance (EHS) facilities. In Macomb County, the most commonly found EHS chemical is Sulfuric Acid. There are seven Sub-Committees that the Macomb LEPC has created to address the needs of the LEPC and its’ members. These are the Executive; Hazard/Vulnerability/Risk; Medical; Education/Training; Macomb Citizen Corps Council; Hazard Mitigation Planning; and the Red Run Drain Inter-County Sub-Committees.  These Sub-Committees prepare emergency plans, establish protocols and prepare training programs for the many facilities and public groups within Macomb County. The Macomb County LEPC has established a set of By-Laws and have elected Officers to govern and maintain the Macomb County LEPC. Meetings are held on a quarterly schedule starting in February and are conducted in compliance with the Michigan Open Meetings Act and the Americans with Disabilities Act. August 06, 2019 @ 11:30 AM. George George Park. (This is the annual picnic meeting). Prior notification of a change of location will be emailed to all LEPC Members and will be posted on this site.